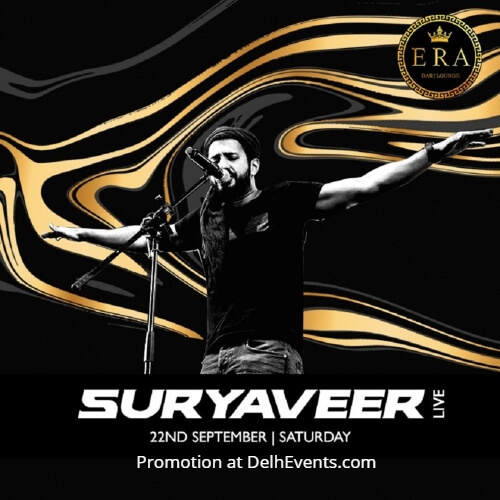 Enjoy the night of acoustic and soulful music staged by the versatile singer Suryaveer Hooja on 22nd September, Saturday at ERA – Bar & Lounge. The singer has already marked his imprints in Bollywood and has got popularity with his band “EHSAAS”. Put on your party shoes, let his performance enchant your senses and enjoy the singer transcend time and genres. His unique approach of blending Western and Indian styles of music together is what sets him apart from the rest.